Jesus said, ​"Truly I tell you, just as you did it to one of the least of these who are members of my family, you did it to me. " With many active volunteers and generous hearts, Good Shepherd outreach ministry serves as a vehicle of God's love in our community through these programs. Scroll down the page ​to read about the community ministries we serve. ​​Good Shepherd brings monthly donations of non-perishable iems to support HELP of Summerville. HELP, a local volunteer organization established in 1975, gives immediate emergency assistance to those whose need is urgent and who have no other resource of assistsance. 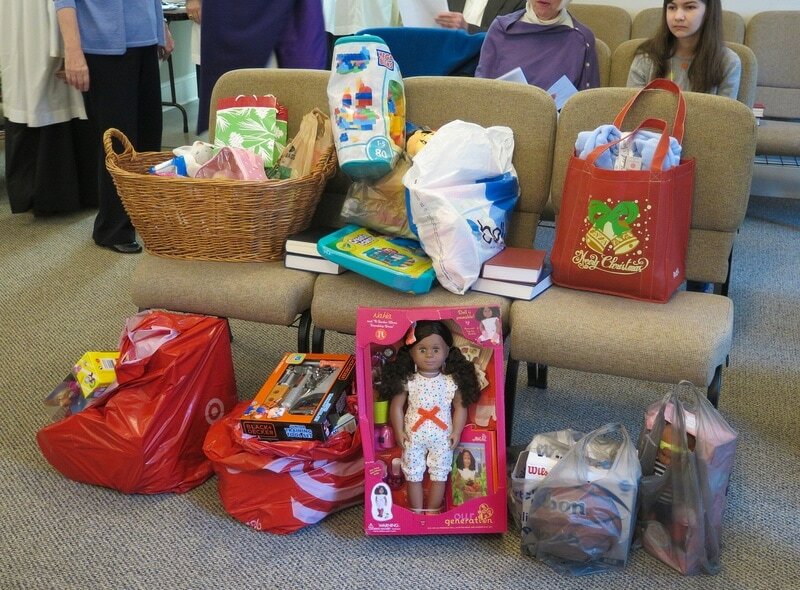 Good Shepherd participates in this annual ministry which is held on the Saturday before Thanksgiving. 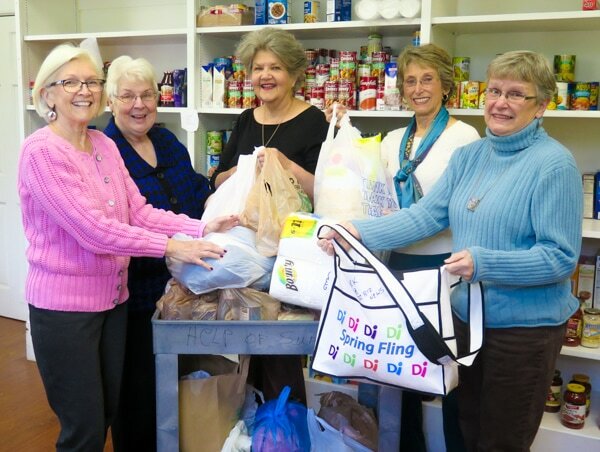 Members of Good Shepherd, Summerville Presbyterian Church, and St. Luke's Lutheran Church gather to worship, fill cloth bags with the essentials of a Thanksgiving meal, add a turkey, and then deliver the bags to 300 families in Dorchester County. In addition to adding people power, Good Shepherd gave $1000 in 2016, which helped 33 families enjoy a warm Thanksgiving meal. Good Shepherd parishioners volunteer to tutor at-risk kindergartners and elementary age students at Span Elementary School. Reading Buddies work Monday through Friday with children who struggle with reading, helping the children with letter and sound identification as the students read their books. No special skills or degrees are required, just a love of children. Good Shepherd parishioners gather at St. George's Episcopal Church with their members to fight weekend hunger. Children at partner schools who experience hunger are enrolled in the program and receive a backpack each Friday containing nutritious food to eat during the weekends, when they cannot access school feeding programs. Good Shepherd also supports this ministry financially. The Palmetto SC Region of the American Red Cross provides vital services to the residents of South Carolina including disaster relief, health and safety classes, blood collection for hospitals and services to the armed forces. The Lowcountry SC Chapter of the American Red Cross serves the counties of Charleston, Beaufort, Berkeley, Colleton, Dorchester, Georgetown, Hampton, Jasper, and Williamsburg. Many of those men now have jobs, and their future is looking brighter. We have had an abundance of food donations. This ministry also appreciates monetary support, which allows them to meet overhead expenses, pay our director and two part time employees. Monetary donations can be mailed to: Lowcountry Home of Hope, PO Box 2994, Summerville, SC 29484. All items may be dropped off at the residence @ 821 Central Ave., Summerville, SC 29483.